Everyone loves to juggle – right? Anyone can juggle – right? Have you ever thought of trying it, ever picked up a couple of oranges from the fruit bowl and had a go? Let’s face it, we all juggle something, whether it’s daily tasks, time management, knives or clubs. But I always thought juggling pretty coloured balls would be easy – until I tried it! 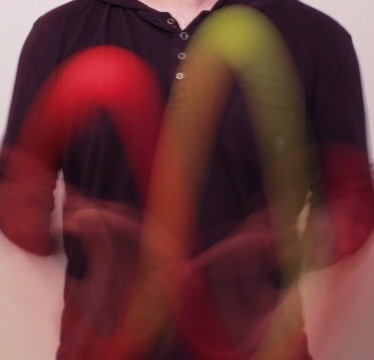 Anyway, this is an interesting and fun post by a juggling enthusiast, Tim Pow. I started juggling about 10 years ago. When most people try to learn to juggle they might reach the dizzying heights of the 3 ball cascade, which is the standard 3 ball juggling pattern. If they get there, its mission accomplished and they can get on with their lives without the need to throw and (sometimes) catch any object possible.I wasn’t satisfied with that. Like many, many things in my life, I became a little bit obsessed with it, learning more and more tricks and patterns. Then I moved onto juggling clubs, then knives. And, to my wife’s dismay, fruit. At the peak of my juggling days I juggled at a charity event where I juggled 3 glowing orbs in the dark and finished with a few knife tricks. Is Writing Becoming too Expensive a Hobby? What comes to your mind when you think of pirates? Captain Hook with his mishmash of misfits and lovable rogues? Johnny Depp in swashbuckling form on the Caribbean? Or perhaps you no longer see them as storybook characters or romantic film stars, but as the robbers and murderers, the literal breed that sail the seas. Or even the highjackers of other people’s intellectual and artistic property. This article by fellow author and blogger Jo Robinson, highlights the last category. Those who feel no compunction when stealing from singer, artist, actor or author. When reading this article, please do keep in mind that the theft is real. As an indie author myself, I know how much time, effort, pain and toil go into writing a novel. There is also financial expenditure. Even if you don’t have to pay for publication, you are recommended to hire a professional editor, proofreader, and cover designer. Then buy some of your own books to give reviewers and media outlets in order to gain some promotion for your book. Being a writer does not come cheap. Most paperback novels cost little more than the price of a half-decent cup of coffee and a cookie. Ebooks cost far less. How much of that does the author see? Depending which publisher, which distributor, which bookstore — very, very little. And now the pirates are taking over the marketplace. Look, they are swinging in on their long, trailing vines of dot coms and dot cos. Hiding in the internet swamps, reaching out with long tentacle arms to lure the unwary into buying their wares, their STOLEN goods. So please, being a writer is already becoming a very expensive hobby for independent authors, please let them see a little reward for their hard work. Please help them recoup a little of their outlay. Please buy only from approved bookseller sites, places where you know the author has placed their book for your reading pleasure, without their piracy pain.